For many people buying an existing business is a much more attractive prospect than trying to build a successful business up from scratch. However there are a number of potential pitfalls that buyers can easily fall into if you don’t do some thorough research first. Ensuring that you buy the right business at the right time is a much more complex process than you might think. The first step to making the right business acquisition choice is finding out as much as you can about the business that you are interested in - and about the vendors themselves. There are a number of questions that all diligent buyers should ask when looking to buy a business, many of which are standard across most industries, but there are also a number of questions that may not be so common, but could make the difference between making the right deal and the wrong one. This might seem like an obvious question, but the answer, and how it is answered, can be one of the most important things that you can find out during the business acquisition process. There is a standard set of answers that tend to be given to this question; “I’m looking fund a well-earned retirement”, “I’ve been offered a great new opportunity and want to concentrate on that” or “my heart’s just not in it any more” being the generally recognised top three. In many cases these could be perfectly honest answers, however it is worth listening carefully to how they are stated and what, if any, supporting evidence can be provided. Remember if you don’t trust the buyer at this point, then it is probably not worth continuing with the sale. But if you do get an answer outside of the norm then it is probably worth considering as it is likely to be the truth. What Are The Biggest Challenges To Your Business Right Now? Again it is worth listening to how the vendor answers this question as well as what they actually say. An open and honest answer may not only give you more room for negotiation but will give you faith in the vendor. Also knowing what the potential challenges are will allow you to go into the business with plans and strategies ready to be instigated, as after all one of the main reasons to buy an existing business is to try and add value. Hindsight is a wonderful thing and getting some really honest feedback from the vendors about changes that they would have made to how they ran the business in the past can be invaluable to how you take the business forward. Most people who are selling their business will want it to do well in the future; after all they have spent time, effort and money getting it to where it is today. In this case they will usually be willing to pass on as much knowledge as possible. Are The Vendors Willing To Stay On For A Transition Period? Following on from the point above, many business owners will be happy to stay on for a transition period after the sale. Obviously an official arrangement should be made for this and they should be compensated for their time, but agreeing to this will show that the vendor has nothing to hide and that they are still committed to the success of the business, even after the sale. Connected to this, it is generally worth asking the vendor whether they are willing to sign a non-complete clause as part of the sale. If they dodge or try to get out of this then it could be a warning sign of the vendor setting up as a competitor and making off with some of the businesses best clients. What Does The Vendor Want To Get Out Of The Sale? Although you can’t expect the vendor to disclose their bottom line selling price, you may be able to get more information about their non-cash motivations for selling. If they are interested in the business continuing as a profitable entity, maybe to continue to provide stable employment for their employees, then you may have more room for negotiation. Also their answer may inform you as to whether they are going to set up a similar business that could potentially be a competitor to yours. For more information about buying an established business, contact the business sales experts at Selling My Business today. 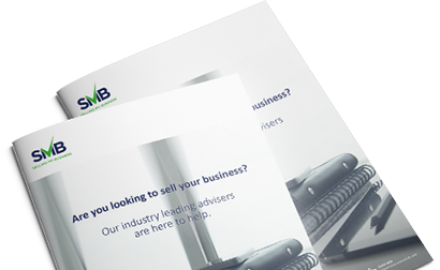 With over 30 years’ experience and more than £500 million raised in business sales, our team is able to support you throughout the entire business sales and acquisition process. Previous Article: What is an earn-out and how do they work with a MBO?